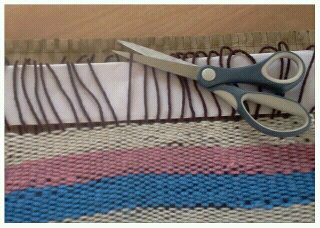 When you have completed your last line of weaving run in the tail ends and remove any rulers & paper that you may have inserted to keep the work straight and firm. 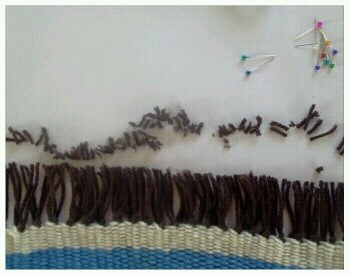 Also remove any pins at the sides of the work that you may have used to keep the sides straight. 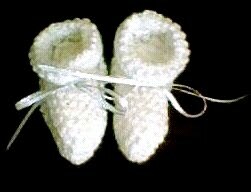 Your next step is to lift the work off the loom. 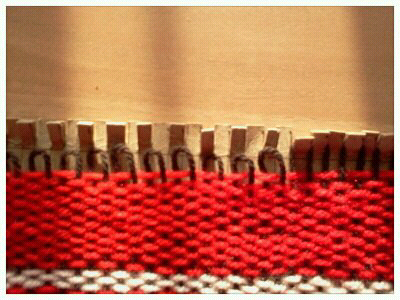 Gently pull the weaving off the tabs at the top of the loom, bending them forward a little if necessary. 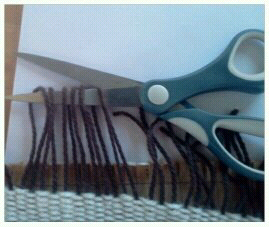 Cut the yarn loops so that you are left with a fringe. To do it quickly cut several strands at once. Straighten the strands, two by two. Start at the right side of the work as it faces you (or left-hand side if preferred) and knot together the first two strands of yarn. Continue working across the work knotting together two strands at a time. 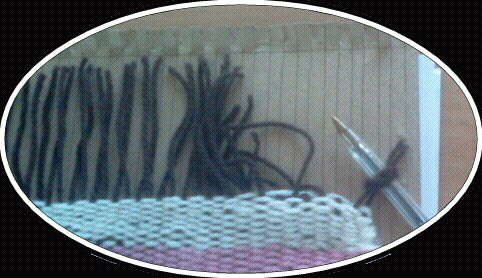 If you find the fringe yarn too short to go round your finger wind it round a pen or pencil to help form the knot. 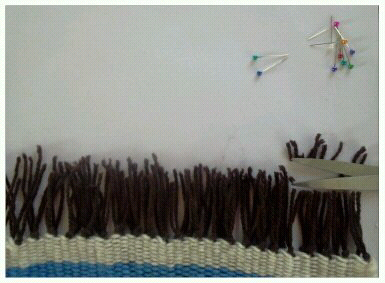 Slide the knot gently down the strands so that it holds the woven work in place. 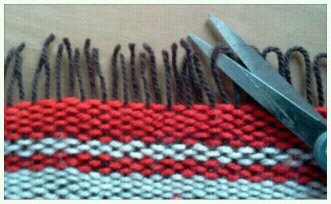 Tighten the knot when it is up against the weaving. When your work is complete be sure to use it. One way you can ensure plenty of fringe and at the same time make use of the maximum weaving space available on the cardboard is to warp the reverse side of the cardboard instead of just the front before you begin to weave. Instead of carrying the warp thread round the tabs at the top edge of the loom, wind the warp thread right up over the top edge and down the length of the reverse side of the loom. 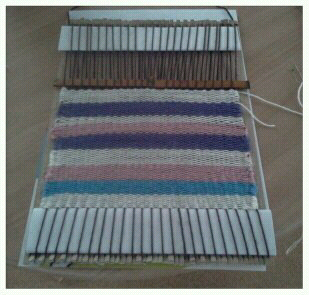 Continue warping the entire loom in this manner until the back of the loom is fully warped also. 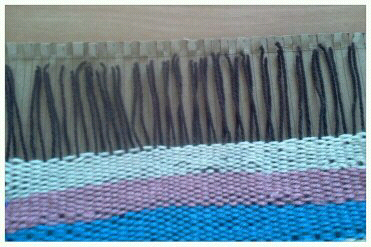 Now you can weave up to the very top edge of the loom. When your weaving is complete turn the loom over so that the back is facing you and cut the warp thread horizontally across the centre of the loom. Gently bring the top half of the cut threads up to the top edge of the loom and the bottom half of the cut threads down to the bottom of the loom. There is now ample yarn available to make fringes at the top and bottom of your work. 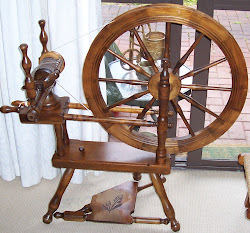 Cut off the surplus yarn after you have secured your work with overhand knots.